Park Forest, IL-(ENEWSPF)- Editor’s Note: These police reports bring us to January 21, 2019. There were only three arrested during the week of January 15 through January 21. Two were charged with DUIs and the third was driving on a suspended license, according to police. Kenneth V. Jackson, 58, 114 E. 34th St., Steger, was arrested on January 15 and charged with driving under the influence of alcohol, alcohol concentration and breath or blood more than .08, operation of an uninsured motor vehicle, no rear registration plate light, and improper lane usage when an officer patrolling in the area of Main Street and Western Avenue at 10:30 PM saw a silver Chevrolet Impala which had only one illuminated front headlight and no rear registration plate light, according to police. The officer followed the vehicle southbound on Western Avenue and observed the vehicle drifting from left to right within the center traffic lane, according to police. The driver and passenger side tires were crossing over the left and center lane dividers as the vehicle traveled, according to police. The vehicle continued southbound on Western Avenue prior to attempting to turn eastbound onto Steger Road. While turning, the vehicle swung wide and traveled over the curb onto the parkway, narrowly avoiding a tree, according to police. The vehicle returned to the roadway and continued eastbound on Steger Road where the officer curbed the vehicle just east of Western Avenue. he officer made contact with the driver and sole occupant of the vehicle, Kenneth Jackson, who had slurred speech and red bloodshot glassy eyes, according to police. Mr. Jackson acknowledged driving over the curb and leaving the roadway, according to police. Mr. Jackson told the officer that he had been working all day and was tired. The officer could smell a strong odor of alcohol emanating from Mr. Jackson’s breath, according to police. Mr. Jackson agreed to take field sobriety tests, after which he was placed under arrest on suspicion of driving while under the influence of alcohol. Mr. Jackson’s vehicle was seized and towed per local ordinance. Police found an open empty 375ml bottle of vodka inside the car. At the Park Forest Police Department, the arresting officer administered a breath test. Mr. Jackson provided a breath sample indicating a blood alcohol content of .218, according to police. Mr. Jackson was issued a court date of February 22, 2019, at the Markham Courthouse, issued an I-Bond, and released at 6:15 AM. Jeremiah M. Hill, 43, 329 Mohawk St., Park Forest, was arrested on January 19 and issued traffic citations charging operation of an uninsured motor vehicle, driving under the influence of alcohol, and improper lane usage when an officer discovered a silver Nissan in the ditch at the intersection of Central Park Avenue and Miami Street at 5:14 PM. The vehicle was running and appeared to be occupied, according to police. he officer saw tire tracks in the snow from the eastbound lane on Miami Street leading up to where the vehicle was now resting. The officer activated the rear emergency lights on his patrol vehicle and parked behind the Nissan in the left-hand lane to block traffic. The officer approached the vehicle and spoke with the driver and sole occupant, Jeremiah Hill. Mr. Hill told the officer that he was “all right” and that his girlfriend was on her way to pick him up, according to police. The officer noted that Mr. Hill’s speech was slurred and his eyes were bloodshot and droopy, according to police. The officer asked for Mr. Hill’s driver’s license and Mr. Hill replied, “I don’t have my ID or nothing. I just went to the store to get some bread,” according to the report. The officer asked Mr. Hill where he was coming from and he said, “My address is 329 Mohawk,” according to the report. The officer again asked Mr. Hill where he was coming from and he replied, “7-Eleven,” according to police. The officer asked Mr. Hill how many drinks he had had that night and Mr. Hill replied, “Just one,” according to police. The officer asked Mr. Hill if he had a driver’s license and he replied, “I have it in the car, it’s in the house,” according to police. The officer instructed Mr. Hill to exit the vehicle and he complied. Mr. Hill used the car door for support as he exited the car and continued to lean on the car as he walked to the rear of the vehicle, according to police. 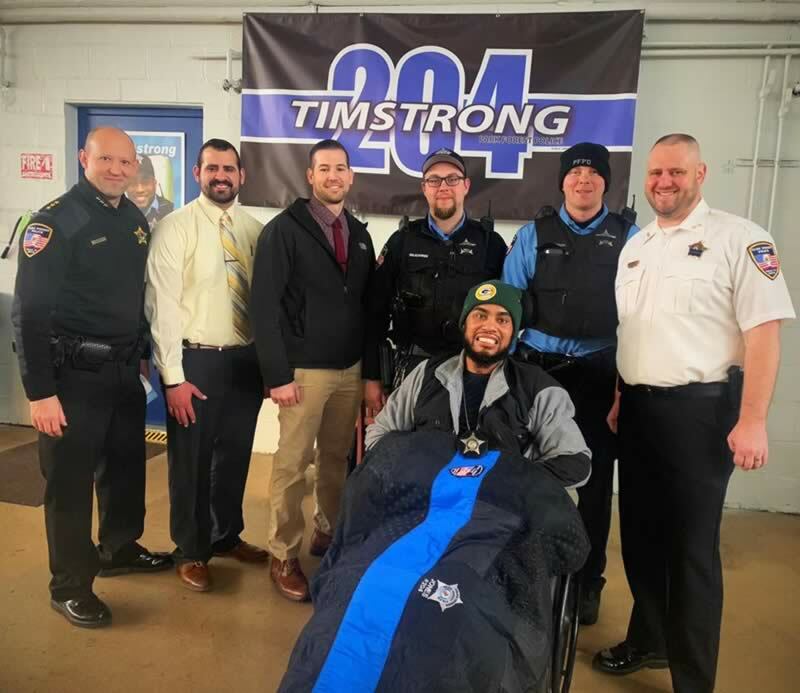 The officer told Mr. Hill that he was going to be detained and transported to the Park Forest Police Department to perform a Standardized Field Sobriety Tests. The officer elected not to perform the tests on the scene due to the weather conditions at the time and for concern for Mr. Hill’s safety. The officer took Mr. Hill through the field tests at the police station, after which he informed Mr. Hill that he was under arrest on a charge of driving under the influence of alcohol. Mr. Hill refused to provide a breath sample, according to police. He was assigned a court date of February 22, 2019, at the Markham Courthouse. Etta N. Thompson, 21, 111 Sycamore Dr. #301, Park Forest, was arrested on January 20 and charged with driving while license was suspended and driving without headlights. Ms. Thompson was additionally issued a municipal citation charging possession of cannabis. She was released on an I-Bond and assigned a court date of February 6, 2019, at the Markham Courthouse. 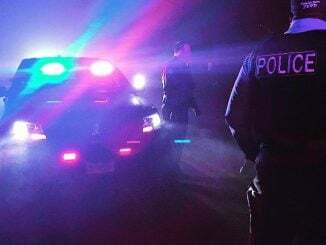 An officer patrolling at 10:46 PM saw a red Ford Focus traveling westbound on Westwood Drive approaching Orchard Drive without any headlights illuminated. The Ford Focus turned right onto Orchard Drive. The officer conducted a U-turn at the intersection and performed a traffic stop on the vehicle at Orchard Drive and North Street. The officer spoke with the driver and sole occupant of the vehicle, Etta Thompson. The officer could smell a strong odor of burnt cannabis emanating from inside the car, according to police. Ms. Thompson said she didn’t realize her headlights were off. Ms. Thompson provided the officer with a paper copy of her driver’s license and insurance card. The officer conducted a LEADS inquiry of her driver’s license which showed that her license was suspended “for financial purposes,” according to the report. Another officer arrived on the scene to assist. Ms. Thompson was asked to exit her vehicle and she complied. Ms. Thompson was placed in handcuffs under suspicion of driving while license was suspended. Inside the vehicle, police found a small plastic container containing a clear plastic bag that had a green leafy substance, suspect cannabis, inside. Ms. Thompson’s vehicle was seized and towed per local ordinance.